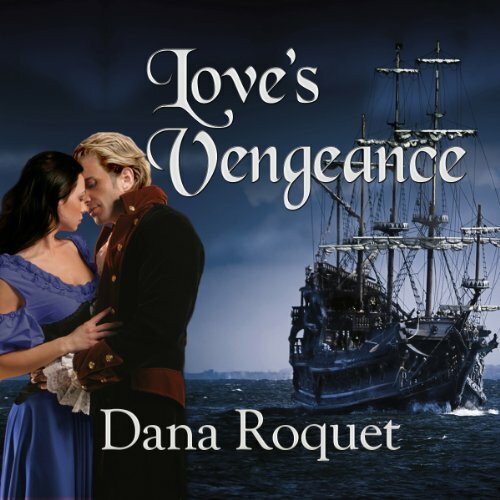 Showing results by author "Dana Roquet"
Torie Mills is beautiful, successful and a New York Times best-selling historical romance author. Determined to find some solace from her fast paced and demanding life, she decides to move to Mahaska County, Iowa - a mile outside of the tiny town of Fremont and into her great-great-grandparent's old homestead. Her plan is to restore the property to its 1870 glory days. PG-13 edition with limited sexual content. Torie Mills Cameron's world has crumbled right before her eyes. Overnight, her life has taken a terrifying turn for the worse, forcing her to make a heart-breaking decision; to leave Dave and the life she always hoped for behind her. To ensure her child's safety, she will do whatever it takes despite the cost. Dave Cameron is watching everything he ever dreamed of slip from his grasp - and with his loving wife and daughter no longer in his life, what is he left with? When author Torie Mills moved to tiny Fremont, Iowa, she found the love of her life and the place where she finally felt she belonged. Five generations of Dave Cameron's family had inhabited the large idyllic Victorian house he and Torie now called home. They settled in, started a family and seemed to be living the perfect fairytale ending. Torie Mills Cameron's world has crumbled right before her eyes. Overnight, her life has taken a terrifying turn for the worse, forcing her to make a heart-breaking decision; to leave Dave and the life she always hoped for behind her. To ensure her child's safety, she will do whatever it takes despite the cost. Torie Mills is beautiful, successful and a New York Times bestselling historical romance author. Determined to find some solace from her fast paced and demanding life, she decides to move to Mahaska County, Iowa - a mile outside of the tiny town of Fremont and into her great-great-grandparent's old homestead. Her plan is to restore the property to its 1870 glory days. She hires handsome, renovation expert Dave Cameron to do the work and together they bring the old Victorian house back to life. When author Torie Mills moved to tiny Fremont, Iowa, she found the love of her life and the place where she finally felt she belonged. Five generations of Dave Cameron's family had inhabited the large, idyllic Victorian house he and Torie now called home. They settled in, started a family, and seemed to be living the perfect fairy-tale ending. Fast forward two years into the future. The Cameron family, including little one-year-old Rose, have been chased from their home by the time travels they believed they had left behind. Left alone by tragedy, Desiree Chandelle will make a bold voyage to the New World. She will search for passage and find much more than she ever imagined. Stephen Colter will learn what it means to love during a voyage which will change them both forever…Stephen will leave her on a distant shore and try to forget. While Desiree will try and do the same until the fates bring them together again. Pirate Red Legs Greaves will steal her away to his exotic homeland of Nevis.